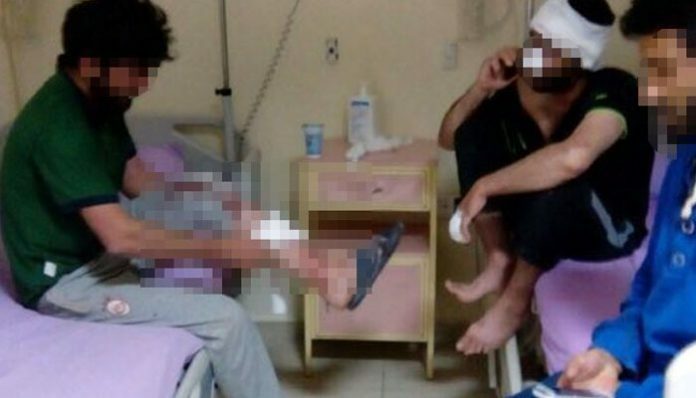 Eight construction workers from Bingöl, a Kurdish majority city, were reportedly attacked by what appeared to be a nationalist mob late on Monday at a construction site in the town of Nallıhan in Ankara province, the Gazeteduvar news agency reported on Tuesday. The workers were harassed and forced to sing Turkey’s national anthem by the assailants. One of the laborers, F.C., is a university student who came from Bingöl to save money by working at the construction site. He told Gazeteduvar that an apparently mentally challenged man who was given food by the workers had shouted “Long live Kurds” in Nallıhan Square before the events unfolded. He also said police officers did not intervene to stop the attack although they were nearby and got involved only when one of the workers was attacked by a large group of people. F.C. said he heard the group shouting “Get out of our country. We have fed you, but you are betraying us.” F.C, who returned to Bingöl immediately after the attack, added that they were threatened with death if they stayed there.